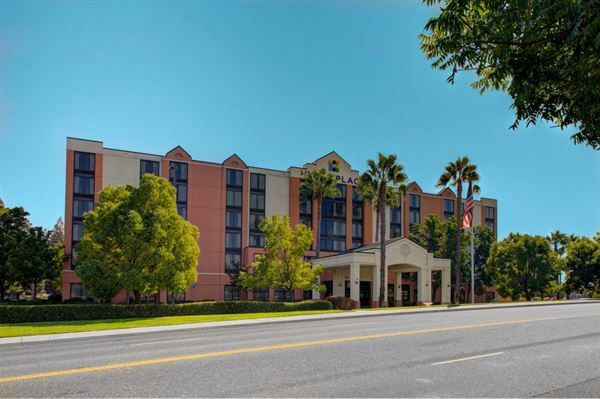 Our hotel near Sacramento is convenient to many great Rancho Cordova/Sacramento area attractions including Sacramento State Aquatic Center, Mather Sports Complex, and Cal Expo. Relax in our large rooms featuring the modern amenities you expect for a comfortable hotel stay near Sacramento including free Wi-Fi, shuttle, outdoor pool, fitness center, and on-site dining. Atmosphere/Decor: Our meeting rooms are stylish but not overly stylized, because décor should be subtle enough to make a statement without detracting from the occasion. Special Features: Our sleeping rooms are 1.5 times larger than the standard. Each room has a cozy corner sectional couch, working desk, wet bar with mini fridge and single-serve coffee maker, clock radio with MP3 adapter and 42” flat panel TV with plug in play panel.